The Soudavar Memorial Foundation’s mission is to preserve and promote the rich and diverse cultural and artistic heritage of the Greater Iranian world in all its diverse aspects, with a particular emphasis on continuities, areas of neglect, and on interaction with other cultures. The Masoumeh and Fereydoon Soudavar Professorship of Persian Studies is endowed at Wadham College of the University of Oxford. Reza Sheikholeslami was appointed the first holder of the Soudavar Chair from 1990 and was succeeded in 2006 by Edmund Herzig. 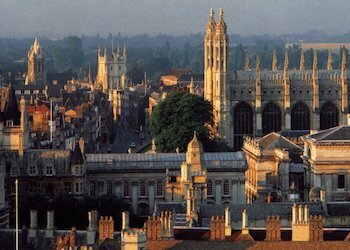 The Soudavar Fund provides small grants to assist students from Iran facing financial difficulty who are studying for a degree at the University of Oxford. Please note that all endowed funds are administered and awarded by the University in question and not the Soudavar Memorial Foundation or its Trustees. To enquire about their availability or how to apply, please direct your queries to the relevant University department, details of which can be found on their website. The Ali Reza and Mohamed Soudavar Senior Lectureship in Persian Studies and the Ali Reza and Mohamed Soudavar Fund for Persian Studies was established posthumously in memory of Fereidoun Soudavar and Massoumeh Amir-Alai’s two sons in 2001. Dr Christine van Ruymbeke has held the Senior Lectureship since its inception. 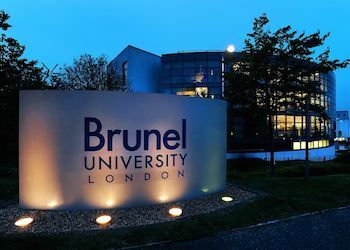 The Brunel Soudavar Scholarship Fund awards a three-year PhD scholarship for a student of Iranian nationality or Persian extraction with outstanding academic qualifications and references. 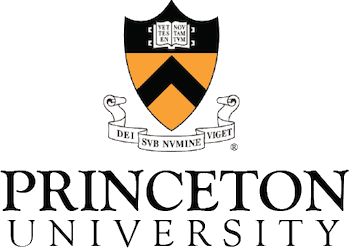 The Ali Reza Soudavar Memorial Scholarship was established in 1986 and is awarded to students from Iran undertaking an undergraduate degree at Princeton. ereidoun Soudavar was one of Iran’s leading entrepreneurs and industrialists, and was instrumental in ensuring the continuing study of Iran’s great cultural heritage both in the universities of Britain and elsewhere. He was born in 1908 into a family of prominent tea merchants, in the frontier city of Ashkabat, close to the border of Iranian Khorasan with the Turkmenistan Republic, of whichAshkabat today is part. After the Russian revolution in 1917, the family returned to Iran and settled in Tehran. On completion of studies in Europe, with his elder brothers, Samad and Ahmad, he founded the Merrikh Company which represented Mercedes Benz in Iran. This company subsequently grew into one of Iran’s largest industries, the Khavar Industrial Group. The group included the assembly of lorries and textile manufacturing among its activities; these were crucial to the economic expansion of modern Iran. It was one of the first companies admitted to the Tehran Stock Exchange on the latter’s inauguration early in 1968. Although from 1978 Soudavar chose voluntary exile in Britain, he never voiced a criticism of his homeland; and not many years ago he endowed a hospital in Tehran. This was only one of the many acts of philanthropy, in education, Iranian studies and cancer research, to which he devoted himself, particularly after the death of his two sons. 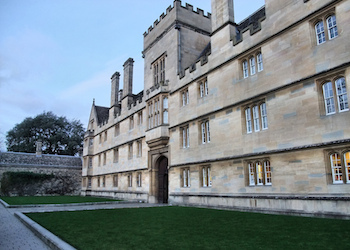 Besides endowing a Chair in Persian Studies at Oxford University in 1987, Soudavar made the generous provision which ensured the continuation of the long-established Persian Studies course at Cambridge University. Similarly, at Princeton University he endowed undergraduate scholarships for Iranian and Third World students in memory of his sons Alireza and Mohammed, and contributed large sums for residencies in the field of cancer research. Latterly he furnished support for the study and presentation of Persian Art and Culture at the Brooklyn Museum of Art in New York. Fereidoun Soudavar was an admirable example of Iranian dignity, courtesy and beneficence; and, with his shrewd wit, excellent company. He introduced to his associates something of the light of those Iranian qualities that, throughout a long history, have survived the most grave adversities. Peter Avery OBE, Fellow of King’s College and former Lecturer in Persian Language and Literature, University of Cambridge. Reproduced by kind permission of The Independent.